Below is the completed solution in its finished form. Once, you download the same. Make sure to clean the project and rebuild the same. During Rebuild, it should automatically download all the required dependencies from client side and server side. In-case, if NPM dependencies won’t download successfully, then in that case restore them manually either from cmd prompt or by rt-clicking the dependency and then by selecting restore. Upon successful build, when you run the app, this will produce the below stuff. Above page is the static page. However, when you click on Fetch Movies, then it will produce the following page. This Page is illustrating how to API from Angular gets called and then serving the page. 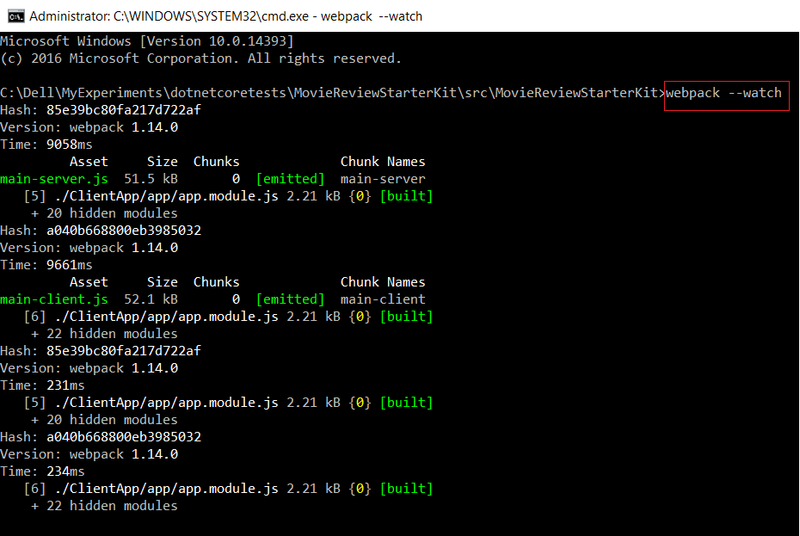 I am also running webpack in watch mode in command prompt just to make sure that whatever changes I am making in client side, it should reflect automatically in browser. One point to note here, although this is good starting point for Angular 2 Using ASP.NET Core in VS2017 edition. But, before getting started, developers are expected to have working knowledge of Typescript, Angular2, ASP.NET Core and other dependent stuffs. 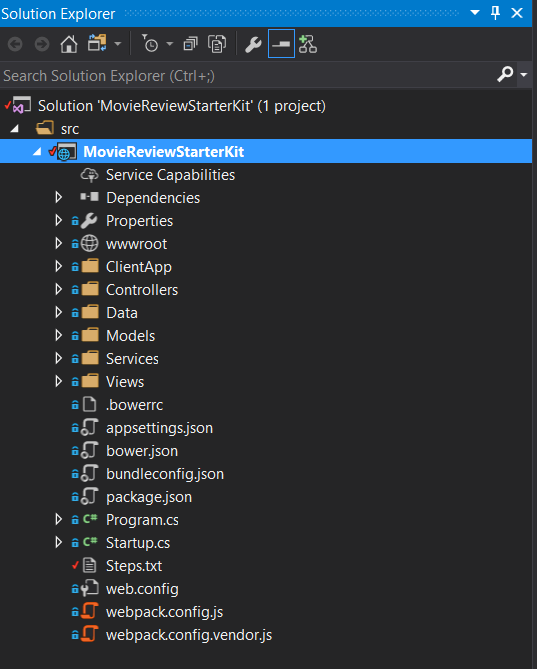 This entry was posted in Angular 2, ASP.NET Core, Visual Studio and tagged Angular 2, ASP.NET Core, ASP.NET WEB API, Visual Studio. Bookmark the permalink.